LOS ANGELES(December 19, 2018) – When you have to go, you have to go, but sometimes it’s hard to know where to go. 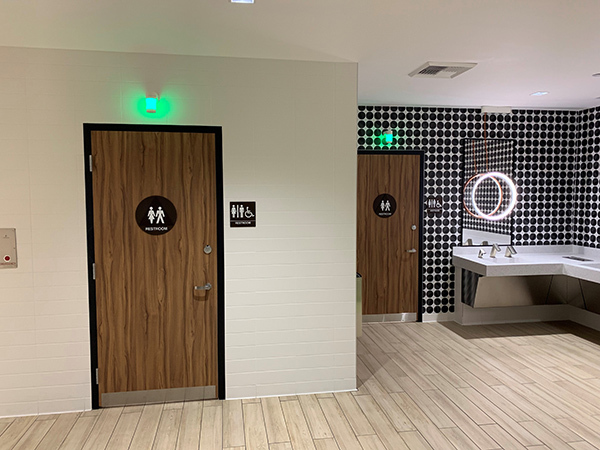 Tooshlights®, the only restroom traffic management system that helps guests “know where to go”® and Westfield, the operator of upscale retail destinations across the U.S. and U.K., will unveil a pilot program today at The Village at Westfield Topanga in Woodland Hills, CA. This is the first shopping mall in the world to install Tooshlights. Tooshlights patented technology will help shoppers navigate busy restrooms. The company is solving a massive pain point; knowing where to go and eliminating the awkward experience of having to peek under stalls to see if they are occupied. Each Tooshlights unit consists of a sleekly designed smart latch and indicator light. When the stall is available, the light is green. When the stall is occupied and the smart latch activated, the light turns red. 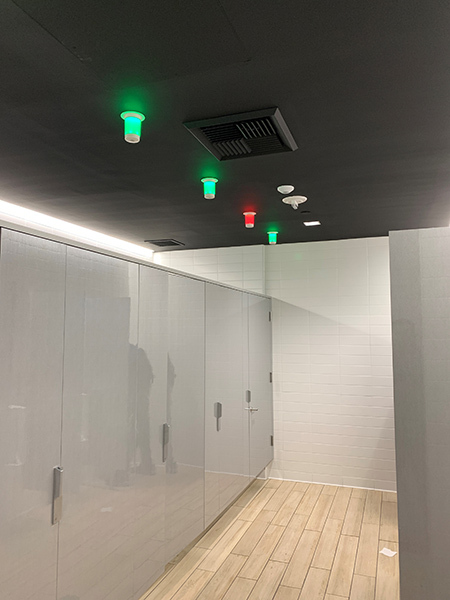 Tooshlights also provides real-time, venue-specific restroom occupancy data that will allow mall facility managers to make smarter decisions about restroom usage. Tablets will be placed outside the restrooms that will survey shopper’s levels of satisfaction with a happy or sad face along with specific questions. Custodial tracking will also be installed so that staff can be alerted when the restrooms need to be cleaned. Tooshlights, powered by Modus Systems LLC, was awarded a U.S. patent for its restroom stall occupancy indicator system and technology. The industry’s first-of-its-kind smart restroom solution will help venues and commercial spaces across the U.S. such as airports, arenas, stadiums, airports, malls, hotels, convention centers, casinos, theme parks and office buildings enhance the guest experience and fundamentally improve traffic flow in public restrooms.